*I’m still on maternity leave and, so, revising and republishing some of my favorite posts from the past two years. I’ve tried to select some that were particularly popular at the time, as well as some of my own personal favorites. I appreciate your patience as I dedicate myself to full-time motherhood for a few more weeks! No human being is faultless, and I think it’s worth reminding ourselves of that frequently, less we be tempted to idolize mere mortals and, in the process, let our analytical powers go lax. Still, I was struck in reviewing some of these quotes from Jane Addams by just how much they speak to me, as a woman, a social worker, and an advocate for social justice. 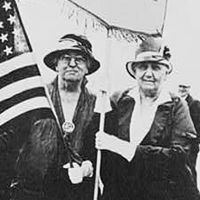 I’ll spare everyone the history of Jane Addams–Hull House, the Nobel Peace Prize, the leadership on women’s rights and children’s issues, the establishment of the ‘social justice arm’, so to speak, of our profession of social work. Instead of a history lesson, today, I want to reflect on these words that have been swirling in my head, and what they made me think of from my own social work journeys. ML–Okay, so this kind of makes me not want to go to sleep. Ever. Taking a deep breath, though, I reflect that this is really what has pushed me to do a lot of my advocacy work–really, in my head, I know that this press conference or that lobbying visit or this speech is not going to change the world, but, in my heart, there’s a little part that wonders, ‘maybe?’ Please, don’t take this quote as an admonition from our founding mother not to ever take a break; instead, let it give you hope that this next hurdle just might be…it. • The good we secure for ourselves is precarious and uncertain until it is secured for all of us and incorporated into our common life. ML–This is on the header for this site; many people have said something similar, but I still think it’s worth repeating over and over again. So often, especially for me now, with so much of my energy focused on my kids, it’s easy to get caught up in getting what we can for ourselves instead of remembering that it is that which binds us together that produces our real security and comfort. • Unless our conception of patriotism is progressive, it cannot hope to embody the real affection and the real interest of the nation. ML–Has there ever been a more appropriate time for this particular expression? After years of hearing that loving your country meant loving everything your government does (or at least being quiet about it), we saw a presidential candidate who dared to say that change and dissent and even agitation were valid ways to express real patriotism, and the result was record voter turnout, our nation’s first African-American President, a return of Democratic control, and a resurgence of interest in all things political. Jane would be proud, I think. ML–Social workers, listen up. Jane is reminding us that what we say has little to no ethical relevance; it’s how we live and practice that really speak to the kind of social workers we are, and that really gives meaning to our collective professional conscience. Daunting, yes, but ethically imperative. ML–I think of this every time that someone tells me, “I could never speak in public,” “I don’t have time to lobby,” “I’m intimidated by Congress,” or a variety of other roadblocks constructed to keep people who could make a major impact on policymaking away from the exercise of this power. We are, really, our own worst enemies sometimes, although Jane said it better than that. • Private beneficence is totally inadequate to deal with the vast numbers of the city’s disinherited. ML–Um, true in her time and even more true today. Privatization cannot cure all of our ills, and charity is no substitute for well-funded, well-run government-provision of services to those that private charity most often leaves behind. • Social advance depends as much upon the process through which it is secured as upon the result itself. ML–This says quite eloquently what I’ve lumbered around trying to say in class for the past few years; there is a difference between social work advocacy/organizing and that conducted by other professionals. Our commitment to empowerment, ethical orientation that rules out unacceptable means, and strengths perspective, taken collectively, should ensure that the way in which we undertake advocacy and organizing is, in real ways, qualitatively different than the processes pursued by those coming from different perspectives. ML–This one made me laugh outloud and, of course, I immediately thought of the women, in today’s society, who have done just those things! Here, Jane was working hard to keep women off of the pedestal which marginalized us, just as we must do whenever we work with comparatively powerless populations. Only people who are considered real and complex and far from harmless are given seats at the tables of power, and that’s precisely where we want to be. • The excellent becomes the permanent. ML–And the powerful becomes the inevitable. ML–These last two are pretty long, but I like the first one because it gives me some new thinking on how to integrate my own faith into my understanding of the pursuit of social justice and the second one because she found a way to defend and exalt socialism without ever saying as much, which I find quite clever. • That Christianity has to be revealed and embodied in the line of social progress is a corollary to the simple proposition, that man’s action is found in his social relationships in the way in which he connects with his fellows; that his motives for action are the zeal and affection with which he regards his fellows. By this simple process was created a deep enthusiasm for humanity; which regarded man as at once the organ and the object of revelation; and by this process came about the wonderful fellowship, the true democracy of the early Church, that so captivates the imagination…. The spectacle of the Christians loving all men was the most astounding Rome had ever seen. • It is always easy to make all philosophy point one particular moral and all history adorn one particular tale; but I may be forgiven the reminder that the best speculative philosophy sets forth the solidarity of the human race; that the highest moralists have taught that without the advance and improvement of the whole, no man can hope for any lasting improvement in his own moral or material individual condition; and that the subjective necessity for Social Settlements is therefore identical with that necessity, which urges us on toward social and individual salvation. Do you have a favorite quote, Jane or otherwise, to which you turn for inspiration? Do you have alternate analyses of any of the above? 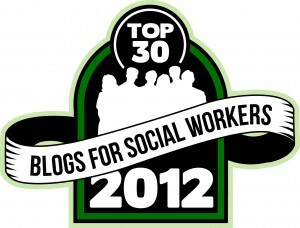 Who is your favorite social work hero? 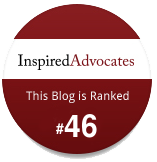 This entry was posted in Inspiration and Examples and tagged social work. Bookmark the permalink.